Even though iTunes is the most popular file management tool for iDevices, it is known to encounter bugs and errors from time to time. That’s why most users look for alternate softwares to cover their iPhone file transfer needs. There are a number of options available such as iFunbox, TunesMate, and iPhoneBrowser. iFunbox is a file management tool designed for iDevices. It is quite popular as it is being used by many iPhone/iPad users nowadays. 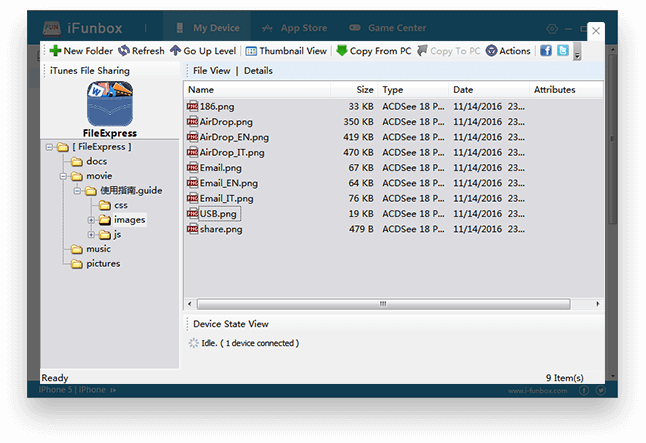 If you are using this software on your Windows PC, then iFunbox will allow you to manage your iPhone iOS 12/11/10 media files just like using Windows File Explorer. iFunbox transforms your connected iDevice into a portable hard drive and makes it easier for you to transfer and manage your photos, music, videos, etc. conveniently. Transfer and manage your iPhone media files on your computer just like Windows File Explorer but with a lot more convenience. iFunbox will transform your iPhone into a USB portable hard disk so you will be able to easily use it for managing general files. File transfer speeds are pretty good, considering your iDevice would work as a portable hard disk on your computer. Easily export music and videos from your iTunes library to your PC as a backup. Furthermore, you can also use it to burn your iPhone media to a CD. iFunbox allows you to manage your iPhone media files even when iTunes is refusing to connect. View all installed apps on your connected iDevice. Furthermore, it’s batch install/uninstall feature makes it easier for you to manage your iOS apps and save you time and efforts. Sometimes iFunbox cannot connect to iTunes library for some unknown reasons. Some users have also reported facing permission issues with this software. iFunbox is not a wise choice for users who simply want to transfer music between their iDevice and computer because of its multiple, complex features and interface. This software is recommended for those who have a jailbroken iDevice. iMyFone TunesMate is one of the best alternatives to iFunbox as it offers the same functionality as iFunbox as well as so much more. You can transfer files between your iDevice and computer and preview them in the software before selecting them for transfer. File transfer speeds are also very good; in fact, they are faster than any other file management tool available out there. There are no permission errors and the software also works for all iDevices regardless of whether they are jailbroken or not. A lot of iDevice users use TunesMate as their primary iPhone file management tool. Transfer files between iDevice to iTunes/computer at high speeds. Preview media files available on your iPhone before transferring them. 1-Click backup and restore solutions to manage all your iPhone media files. 100% safe transfers; files transferred via TunesMate will not be erased after syncing with iTunes. Launching iTunes is not required for iMyFone TunesMate to work. It’s good for users who are having difficulty making iTunes to work properly. Rebuild your corrupted library within a few simple steps. iPhoneBrowser is another iFunbox alternative that allows users to rearrange and manipulate their iPhone media files on their jailbroken iPhones. 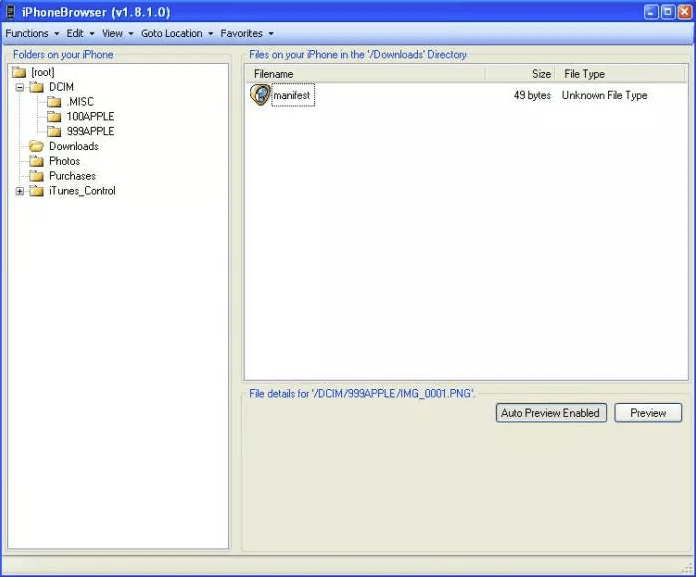 iPhoneBrowser offers basic functionality of a file manager in Windows and provides access to your iPhone media files so you can manage them effectively. Using this software is quite easy as all you need to do is plug your iDevice in, launch iPhoneBrowser and then simply drag and drop media files from your computer to the software interface. Browse and manage all your media files on your Windows PC. 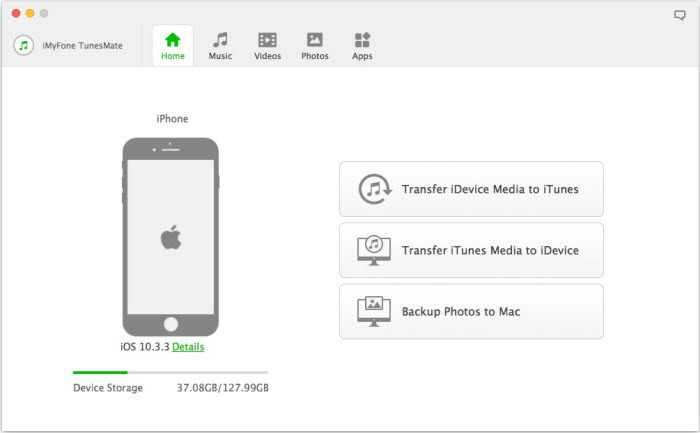 Drag and drop the files you wish to transfer as well as make backups of all your iPhone media files. You can also preview image and text files in iPhoneBrowser. iPhoneBrowser is instantly launched after you plug your iPhone into your computer. Dual pane interface of iPhoneBrowser allows you to quickly manage all your iPhone media files. A simple click on any file displays various options including backup, delete, replace, save, etc. Sometimes iPhoneBrowser does not automatically launch when an iPhone is plugged into PC. Performs best if you have a jailbroken iDevice. Not recommended for other iDevice users.